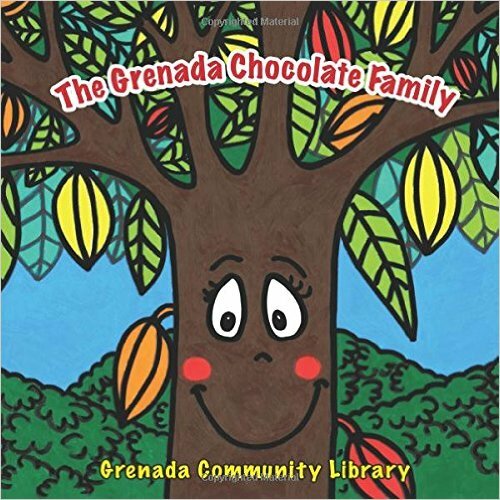 We are happy to announce great news about our very first publication The Grenada Chocolate Family, a children’s colouring storybook, published in collaboration with the Grenada Chocolate Festival and House of Chocolate by the Grenada Community Library. President of the Gourmand International World Cookbook Awards (considered the ‘Oscars’ of cookbook awards) personally invited us to enter our book in the prestigious competition — awards ceremony to be held in Yantai, China, May 2017. Gourmand’s founder and President, Mr Edouard Cointreau (of Rémy–Cointreau family) is impressed with the publication and thinks that it is “very special” with a “real chance, as it is quite exceptional in many ways”. He came across the publication in an internet search and found our press release, published by nowgrenada.com. Due to the fundraising and charitable cause of the book, Gourmand International will also promote and feature the Grenada Chocolate Family at the Frankfurt Book Fair, the world’s largest publishing event, in October 2016. This all provides unforeseen possibilities for the life of the book, its contributors, illustrator Sara Scodeller, Grenada Community Library, for the Grenada Chocolate Festival, all Grenadian chocolate products and culture. Who would have guessed that our local tale of chocolate enjoyment, in the form of making cocoa tea, with all of the spices involved, “to bring smiles to the world” could be shared with the world like this? The Grenada Community Library (formerly Mt Zion Public Library) is currently temporarily housed at the Grenada National Museum and was founded in response to the closure of the National Public Library.